Forncett St Peter and Forncett St Mary are two sprawling parishes to the south-west of Norwich, but their churches were well away from the main road which runs through the extreme west of the parish, and so in those bullish days at the start of the 20th century a chapel of ease was built here, dedicated to St Edmund. 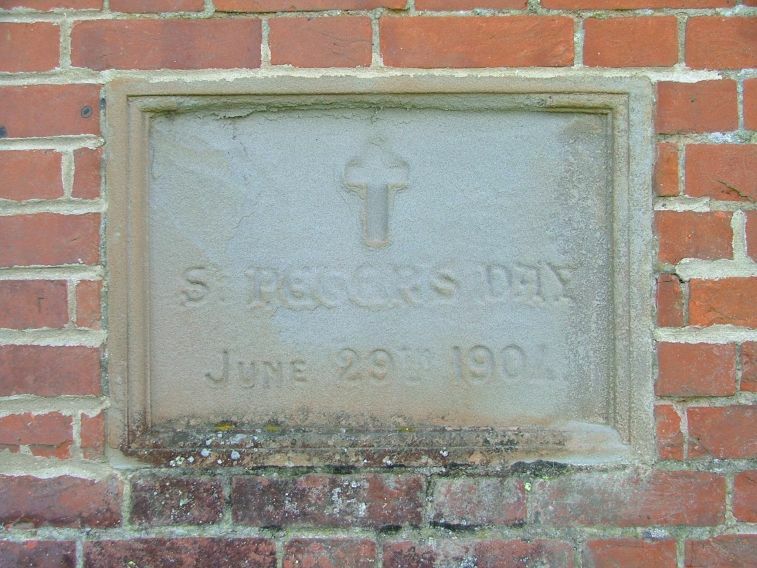 A plaque on the side of the building declares, in the High Anglican style, that it was dedicated on St Peter's Day, June 29th 1904. It was never finished. 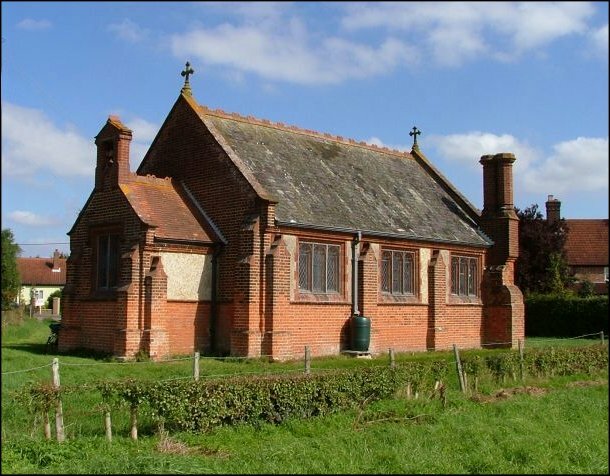 The red-brick chapel, in that elegant Tudor-bethan style beloved of the Edwardians, has a boarded-up east end where the chancel should have been. 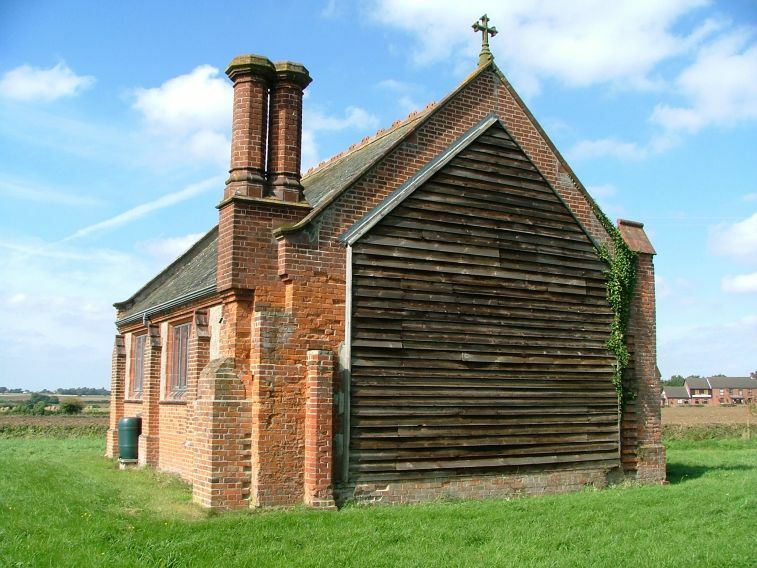 It will never be built now, but the wood boarding has obviously been renewed over the years, perhaps several times. 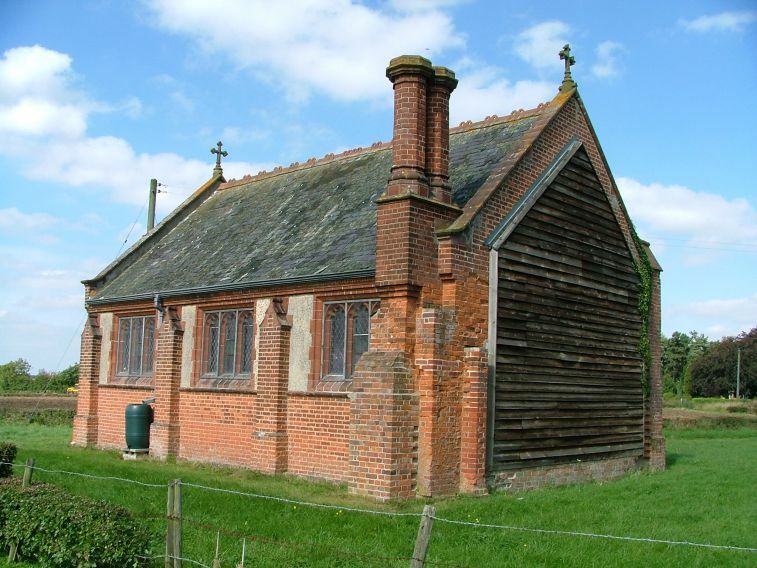 Without a chancel to balance it, the bell-gabled porch at the west end looks rather clumsy. The lady on duty on bike ride day seemed to think that a tower had been planned for this end, but I can't see that the form of the nave, as it stands, could have allowed a tower to be built against it. The windows are the typically pretty triple-bay affairs familiar from a thousand Edwardian office buildings, shops and pubs. 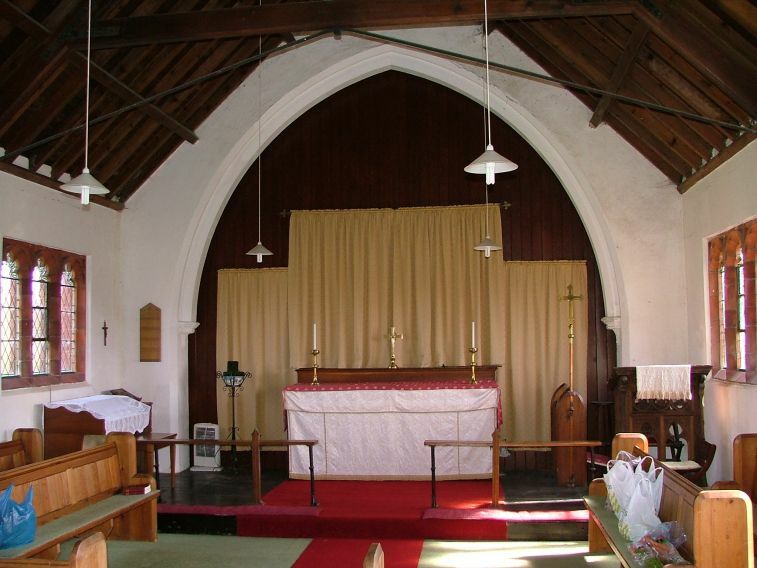 Similarly, there is nothing remarkable about the interior, apart from a very pleasing and idiosyncratic font in the north-west corner, and some good Victorian furnishings in the sanctuary. 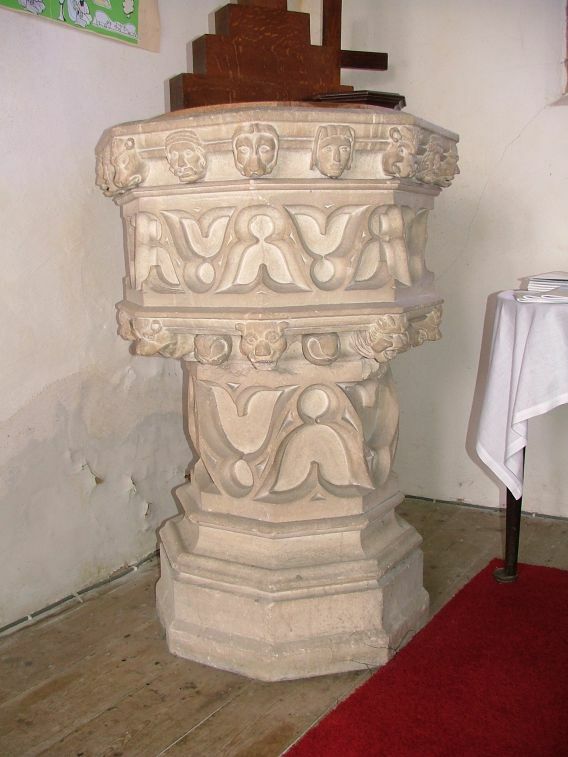 These are, of course, older than the church, but they probably came here from Forncett St mary church, which was declared redundant almost thirty years ago.